The official underlined that the North Korean government under its supreme leader Kim Jong-un is moving on with its construction of new ICBMs. North Korea is reportedly constructing new intercontinental ballistic missiles (ICBMs) and its missile programme is doing "business as usual", according to an official. A US official having knowledge of the latest intelligence assessment on Pyongyang told Fox News, "It's business is as usual." It is to be noted that North Korea has become a virtual pariah in the international community since the United Nations imposed tough sanctions on the country, after conducting nuclear tests and launching three ICBMs last year. On Monday, The Washington Post first reported that Pyongyang was likely building two ICBMs at the same facility, where the country had made its first long-range missiles, including the Hwasong-15, having the capacity of striking the US East Coast, satellite images showed. Officials on condition of anonymity told The Washington Post that North Korea was intending to deceive the US by misinterpreting the number of research facilities and warheads, and claiming that their country had achieved complete denuclearisation. 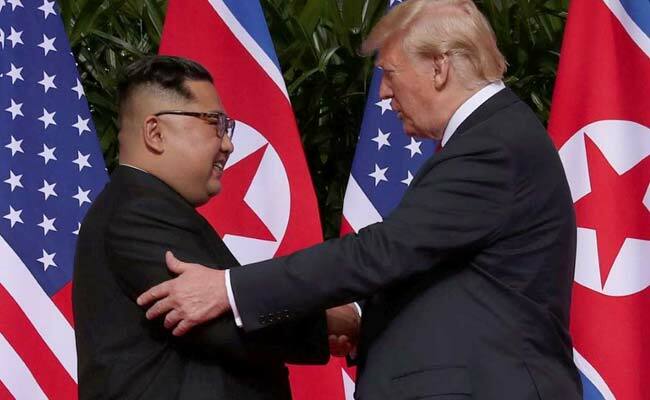 American intelligence also suggested that Kim was continuing to expand his nuclear arsenal, instead of making a commitment to achieve denuclearisation in North Korea along with US President Donald Trump at their meeting in Singapore in April. "We see them going to work, just as before," one US official told The Washington Post. Another US official was quoted by Fox News as saying that there was "no evidence" that Pyongyang stopped its work of building missiles, despite dismantling a nuclear test site recently. Last week, US Secretary of State Mike Pompeo told a Senate panel that Pyongyang was continuing to produce fissile material required for building nuclear warheads. Mr Pompeo, who visited North Korea, earlier this month for denuclearisation talks, had invited furore from Pyongyang, which later expressed its disappointment over the attitude of US officials on denuclearisation, calling it "regrettable and really disappointing." In a statement by an unnamed foreign ministry spokesman, carried by North's Korean Central News Agency (KCNA), Pyongyang criticised Washington D.C. for "seeking unilateral and forced and "gangster-like demand for denuclearisation", Yonhap News Agency reported. "The US just came out with such unilateral, robber-like denuclearisation demands as CVID (complete, verifiable and irreversible dismantlement), declaration and verification that go against the spirit of the North Korean-US summit meeting," the spokesperson said. North Korea's statement was apparently not in sync with the US as Mr Pompeo said that there was progress being made on North Korea's denuclearisation exercise. He added that "there's still more work to be done" to achieve the process dismantling North Korea's nuclear weapon and ballistic missiles programme.